1850s was the Greenlee homestead small limestone structure from 1850s older section of house built 1870s “new part” of house built 1890 being renovated by Chas. Piper. Photo of house, 4 interior room photos. Zdeb, Anthony (Stefania) mldr Greenlee h 922 Island Ave. 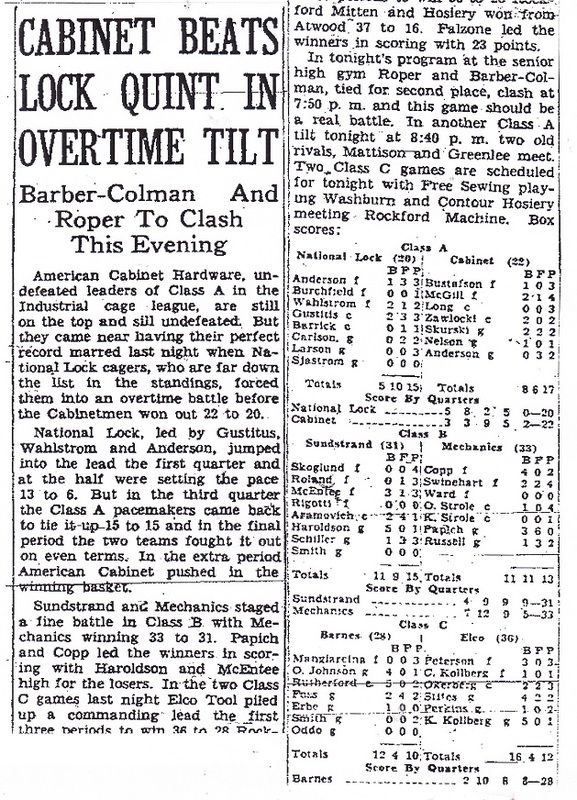 Cabinet Beats Lock in Overtime Tilt – 1940. R.I.A.A.